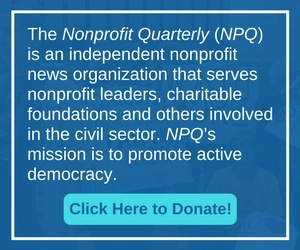 In a historic move that’s long overdue for nonprofits and donors, 25 states’ attorneys general coordinated to sue and close VietNow after 30 years of controversial and exploitive fundraising practice. Even though the Greater Twin Cities United Way is the largest chapter in the country, it appears to be as vulnerable to larger erosive trends in the field as any others. Well-known social media campaigns like the Ice Bucket Challenge garner large-scale engagement and immediate attention, but translating this success into long-term awareness and financial support requires more than a click. Take, for example, the case of the ACLU. Nonprofit organizations may have more to gain through randomly scheduled community foundation giving days than the social media–driven Giving Tuesday. The active internal conversation about Wikipedia’s very successful fundraising is worth watching. Hillary Clinton calls for an investigation of ExxonMobil on their denial of anthropogenic climate change—after the oil company stopped funding the Clinton Foundation. President Obama has offered for the U.S. to take 10,000 more Syrian refugees than originally planned, but to make that happen, the federal budget accounts for refugees and asylum-seekers need to be raised. MoveOn is taking the lead in organizing nonprofits to lobby the issue. Bernie Sanders has shocked observers with his campaign’s ability to raise money on a par with Hillary’s renowned machine—and almost entirely through small donations. Can nonprofits learn something from this?